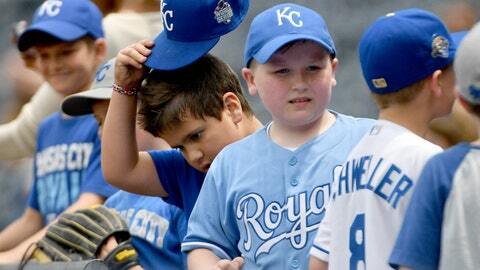 Royals fans: You can stream Royals games televised by FOX Sports Kansas City. Royals games are available for streaming on the FOX Sports GO app and at FOXSportsGO.com to customers of participating pay-TV providers who receive FOX Sports Kansas City/Midwest as part of their video subscription. For more information, read below or visit FOXSportsGO.com. Fans can also email questions to Midwest@foxsports.net, tweet @FSKansasCity or @FOXSportsGOHelp and visit foxsports.custhelp.com. Will I be able to stream Royals games? Yes. If you are a customer of a participating pay-TV provider and receive FOX Sports Kansas City/Midwest as part of your channel lineup, and are within the Royals TV footprint, you will be able to stream FOX Sports Kansas City’s Royals telecasts on FOX Sports GO. Yes, you will also be able to stream the 10 Royals spring training games that air on FOX Sports Kansas City. If a Royals game is being televised on FOX Sports Kansas City, it will also be available on the FOX Sports GO app and at FOXSportsGO.com. To stream games, users will need to verify their credentials by signing in with their pay-TV provider’s username and password. There is no additional charge to use FOX Sports GO. The FOX Sports GO app is currently available on mobile devices including iOS and Android. The FOX Sports GO app is also available on connected devices including Android TV, Amazon Fire TV, Stick and Kindle Fire, Roku Players and Roku TV, Xbox One and Windows phones. Fans can download the mobile app for free from the iTunes App Store, Google Play, Amazon App Store and Windows Store or visit FOXSportsGO.com. FOX Sports GO is an extension of your pay-TV service that you get at home. FOX Sports GO allows viewers to watch on best available screen — at home or on the go. Every major pay-TV provider participates in FOX Sports GO. What if I don’t have my pay-TV provider credentials or I forgot them? FOX Sports GO isn’t working. What can I do? You can contact us on Twitter (@FOXSportsGOHelp or @FSKansasCity), email midwest@foxsports.net or visit foxsports.custhelp.com.